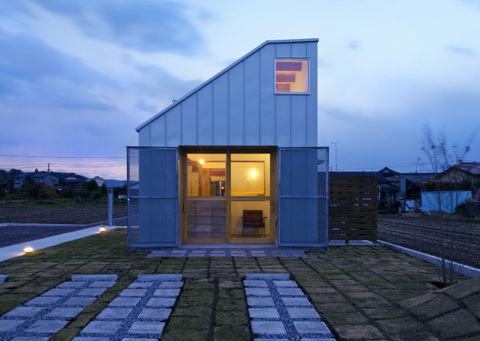 In Oita, Japan there’s a house that gathers a mother, a child and a dog: Dog Salon. 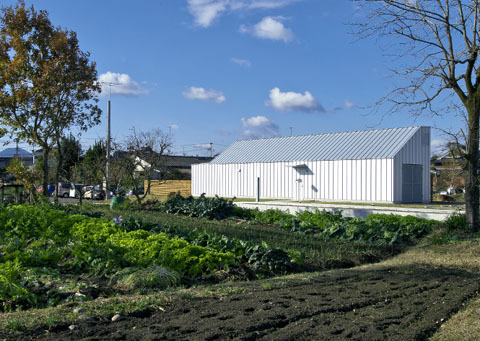 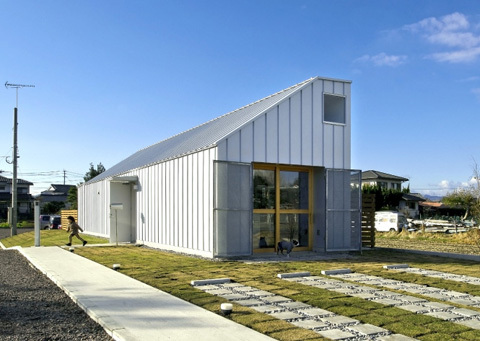 This small single-story building with a total floor area of 66sqm is totally covered in grey metallic panels contrasting with the surrounding rice fields. 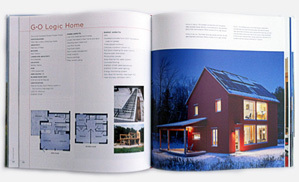 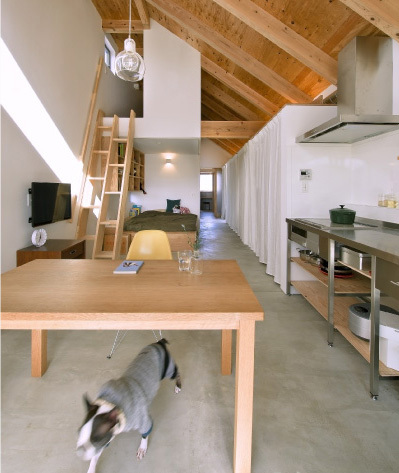 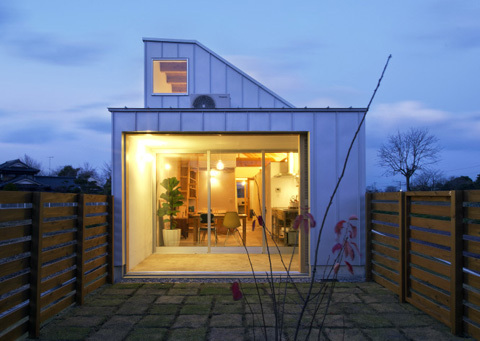 The program follows the desire to combine work and living areas in a small space : one end of the building serves as the living space while the work area – a dog salon – is placed on the other side. 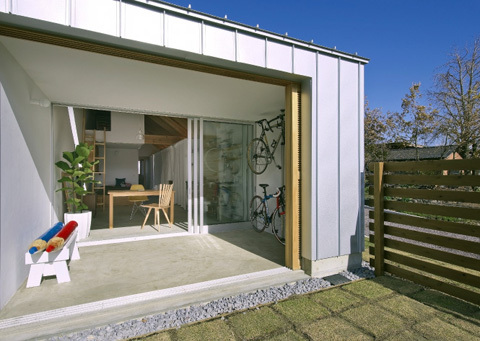 A living and dining room share the same open space located towards the back of the house, with generous views to a courtyard garden. 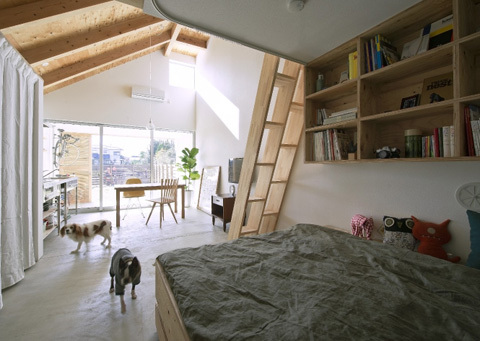 In the same space there’s a daybed carefully disposed beneath a tiny mezzanine room that can be accessed by a wooden ladder. 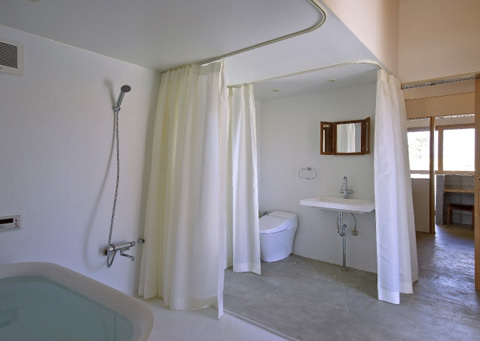 All service areas such as bathroom and kitchen are cleverly positioned in the center of the house in order to be easily accessed from both the salon and the living areas at either end of the building. 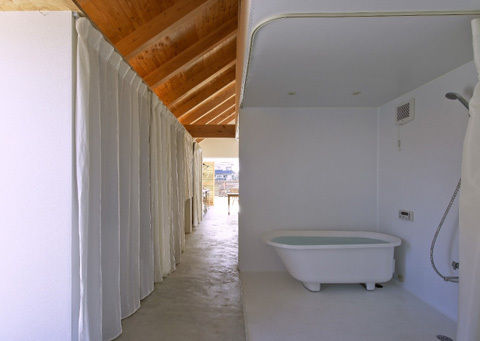 Although the decisive need to divide the two different zones, a curious solution was adopted in the partition of some areas: white curtains are used throughout the building to separate internal spaces like corridor and bathroom or even bedroom areas, while concrete flooring and plywood ceilings with exposed wooden structure define the interiors.